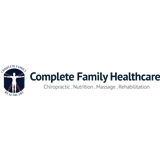 Complete Family Healthcare (Alpharetta) - Book Appointment Online! I don't know why I put off going regularly... it makes such a difference in how I feel. Dr Jarod is excellent. Dr. JJ is amazing. Very informal and walked me step by step. He staff were willing to help and very professional with a smile on there face. Would highly recommend.